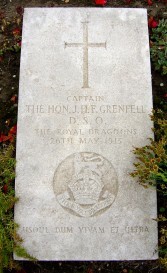 Died of Wounds received on the 05/04/15 at Dumbarton Lakes, Ypres. 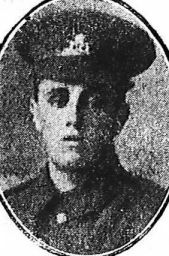 His brother L/Cpl William Johnstone, who served in the same regiment, was also wounded by the same shell, he is commemorated in Ypres Menin Gate. Harry was a brewer at ‘The Horse and Jockey’ public house, Bloxwich Road, Walsall when he was called up on reserve. 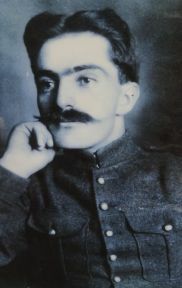 He was drafted to France on Friday 11/09/1914 and died in the 11th General Hospital, Boulogne from wounds received in battle. Joseph was the eldest son of James and Jane Bailey of 113, Green Lane, Birchills. 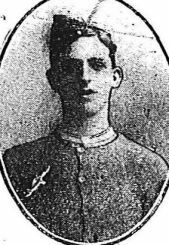 Enlisting in the Army at Lichfield in 08/1913, he was serving at Aldershot when war was declared and disembarked in France on Wednesday 12/08/1914. 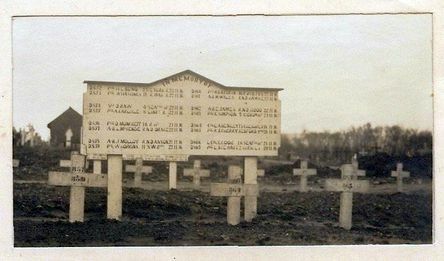 Joseph was wounded in action and succumbed at the 13th General Hospital, Boulogne. 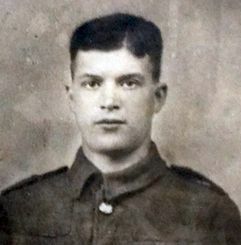 Harry enlisted in the Army at Bloxwich and served for four years in South Africa. 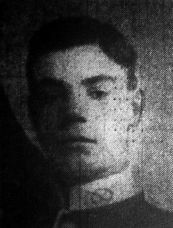 He returned home from the Transvaal to attend his father’s funeral at Bloxwich and was then drafted to France, disembarking on Sunday 01/11/1914. 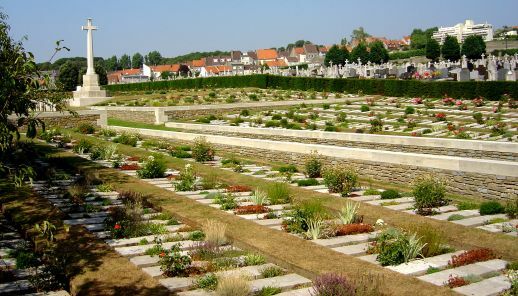 Harry died in the 13th General Hospital, Boulogne from pneumonia. Leonard was born in Norton Canes, the son of Alfred and Ellen Organ of St. James’s Place, High Street, Brownhills. 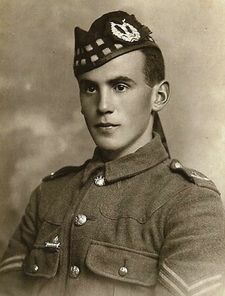 He saw active service at Gallipoli and was drafted to France only 6 weeks before his death. 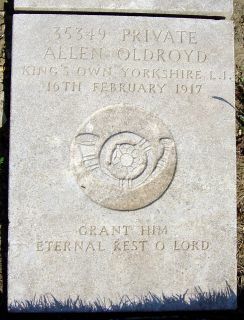 He was mortally wounded during Friday 08/09/1916. John was as married man with three children living at 4, Beason’s Yard, Burrowes Street, Walsall. 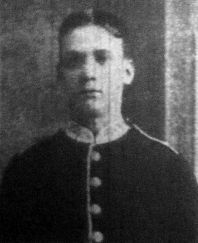 An iron caster by trade, John re-enlisted in the Army at Walsall on Monday 10/08/1914 and was shortly afterwards drafted to the front. He was wounded at some stage during his battalion’s attacks against Festubert and was removed to hospital at Boulogne where he succumbed. Thomas was a married man with a son. 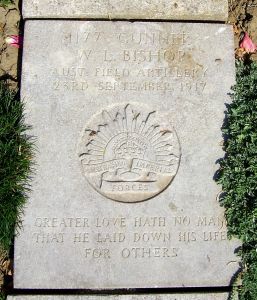 He joined the Army during the Boer War and served without injury and then spent several years in India. 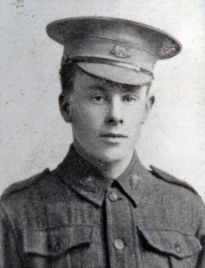 Re-enlisting at Dudley in 09/1914, William was drafted to France on Thursday 25/03/1915 and was shortly after affected by poison gas. A native of Great Wyrley, Leonard was the son of Edward and Frances Morris of Walsall Road, Great Wyrley. 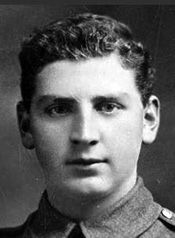 Leonard was drafted to France on Friday 05/03/1915 and was mortally wounded in the trenches between St. Eloi and Hill 60, Ypres on Sunday 11/07/1915 when he received shrapnel wounds in the abdomen. Thomas resided with his parents, Thomas and Harriett Bagnall at 33, Regent Street, Birchills. 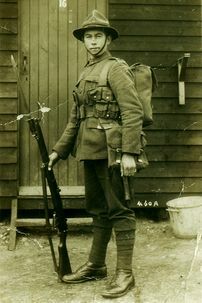 Prior to enlisting in the Army at Walsall during 02/1916 he was employed by Pat Collins at the Gondola Works, Walsall. 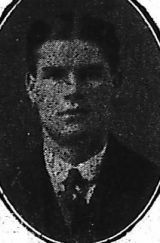 Drafted to France in 06/1916, Thomas died of wounds whilst in hospital at Boulogne. 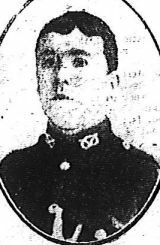 A native of Bloxwich, John was a married man with 2 children residing at 71, Bentley Lane, Walsall. 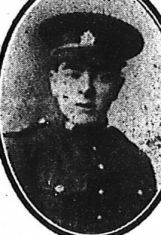 Initially serving as 51352, Royal Army Medical Corps he later transferred to the South Wales Borderers with whom he saw service in the Dardanelles and Salonika, disembarking in the Balkans on Sunday 03/10/1915. 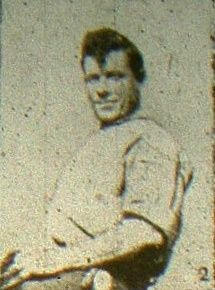 John was wounded during the opening stages of the Somme Offensive. 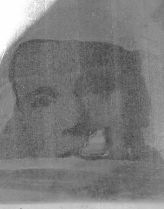 David was the son of Arthur and Sarah Ridding of 15, Chapel Street, off Day Street, Walsall. 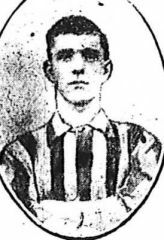 David enlisted in the Army at Walsall in 09/1914, being drafted to France on Tuesday 02/02/1915. He received serious wounds to his back and spine whilst in action and was removed to 11th General Hospital in Boulogne for treatment. Frederick was born in Walsall the son of Frederick and Lydia Southall of 65, Wolverhampton Street, Walsall, his father being a general labourer. The family emigrated to Canada settling at 23, Claire Fontaine Street, Quebec. 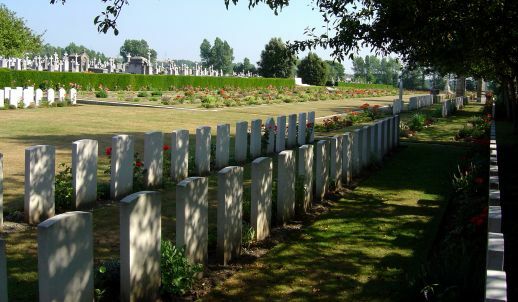 For the week or so prior to Frederick’s death his bn held trenches near Meteren, having relieved the 3rd Bn, Canadian Infantry during Monday 20/12/1915. They were themselves relieved by the 3rd Bn on the day of Frederick’s wounding, Frederick being the only man recorded as being injured this day. 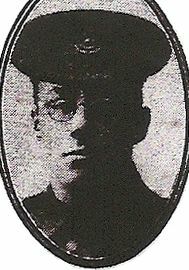 Arthur was the son of David and Louisa Aderline Hulme of 140, Hatherton Street, Walsall. 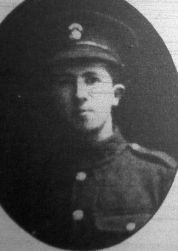 He enlisted in the Army at Birmingham in 09/1914 when only 16 years of age, at that time being employed at Deritend Stamping Works, Bescot. 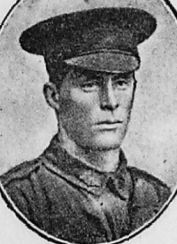 Drafted to Gallipoli he was invalided home with enteric fever at Christmas 1915. 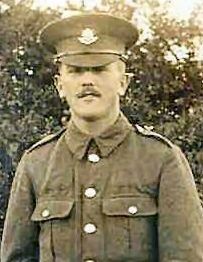 Arthur was wounded on Wednesday 19/07/1916 during the Battle of Somme when his bn were at Buire-sur-l’Ancre. Charles was the son of Thomas and Esther Pember of High Street, Brownhills. 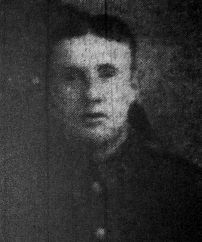 Enlisting in the Army at Walsall in 08/1914, Charles was drafted to France on Thursday 26/10/1915 and was wounded in action when he received shrapnel wounds to his head and shoulders. Removed to hospital at Boulogne he succumbed to his injuries. 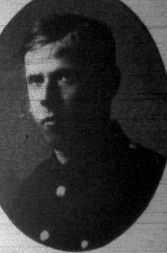 Samuel was a married man with 3 children residing at 2, Garden Street, Walsall. 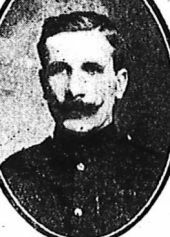 He enlisted in the Army at Lichfield during 1901 and had completed eight years of his nine years on reserve when war broke out, then employed at the Bloxwich Colliery in charge of a hammer drill. 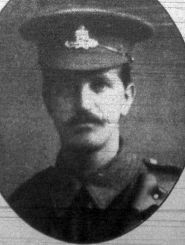 Returning to the colours, Samuel was drafted to the front with his bn on Wednesday 12/08/1914 and was mortally wounded in action. John was a married man living at 73, Ford Street, Pleck with his wife and four children. 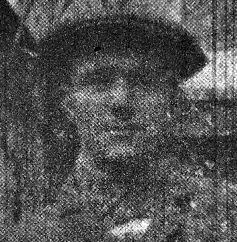 Enlisting in the Army at Wednesbury in 05/1915, John served for seven months in France in the horse breaking section of the Army Service Corps. 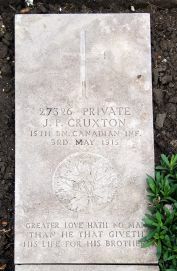 He contracted pneumonia and was removed to the 3rd Canadian Hospital at Boulogne where he succumbed. 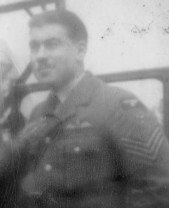 David was born in Shenstone to Arthur and Alice Hackett of 4, Railway Cottages, Shenstone. 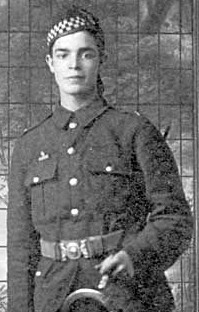 A farm labourer, he enlisted in the Army at Birmingham and was drafted to France on Thursday 05/11/1914, later being mortally wounded in action. Sidney was a married man residing at 99, Dalkeith Street, Walsall with his wife and two children. 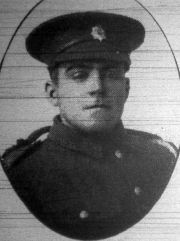 He enlisted in the Army at Wednesbury during 08/1915 and was drafted to France in 01/1916 being mortally wounded during the Battle of Somme. 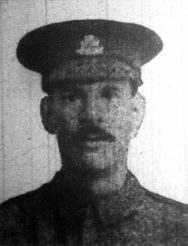 He was the only son of Henry and Hannah Elizabeth Doughty, and he first arrived in France on the 09/03/1915. Charles is commemorated on a war memorial at St. Andrew’s Church on Torridon Road in Catford. Of wounds received on 20/07/1916 at Fromelles. 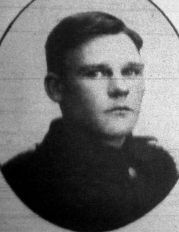 He died of wounds received on 05/06/1916 in the battle of Mount Sorel near Hill 62 (Sanctuary Wood area) in the Ypres Salient. He was born in Clive, Hawkes Bay, N.Z., the youngest son of George William and Phoebe Scadden of Lady's Mile, Foxton. 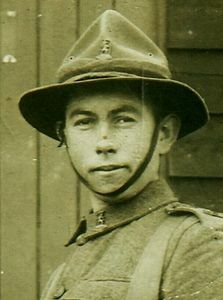 Clive sailed on the Waitemata, leaving NZ in 07/1917 and arriving in Plymouth, England, 2 months later. 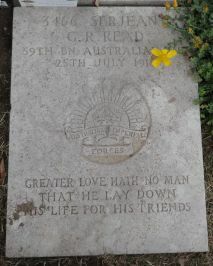 He was a rifleman in H Coy, 4th Brigade. 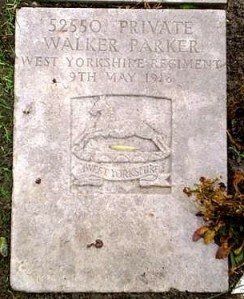 He was wounded and died of his wounds at the 13th General Hospital in Boulogne. He was born in Inverurie Scotland, the son of Isabella and the late William Simpson. 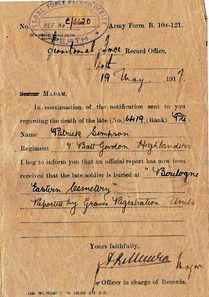 Being wounded by shell explosion and losing an arm and leg at Beaumont, Hamel, he apparently live for two weeks after being injured. 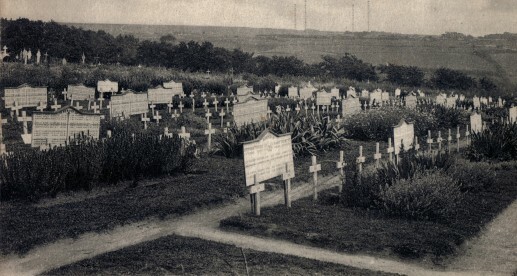 Original memorial of Patrick in the cemetery.